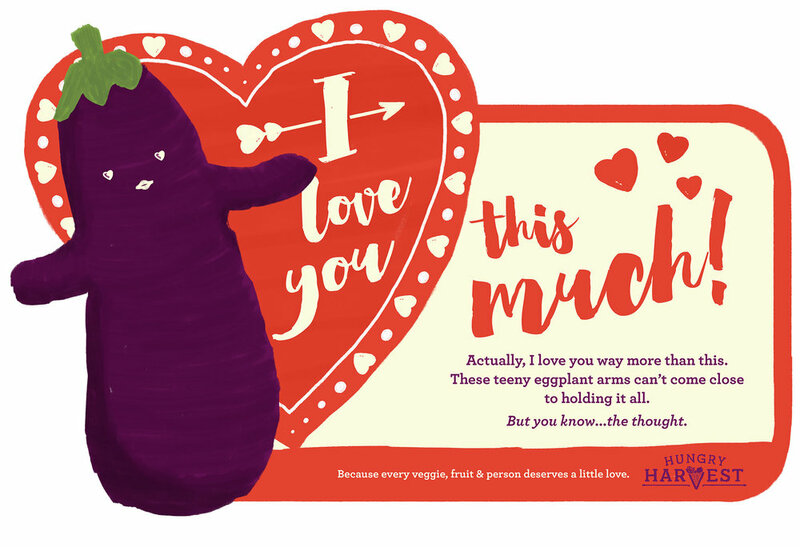 Every veggie, fruit & person deserves a little love. 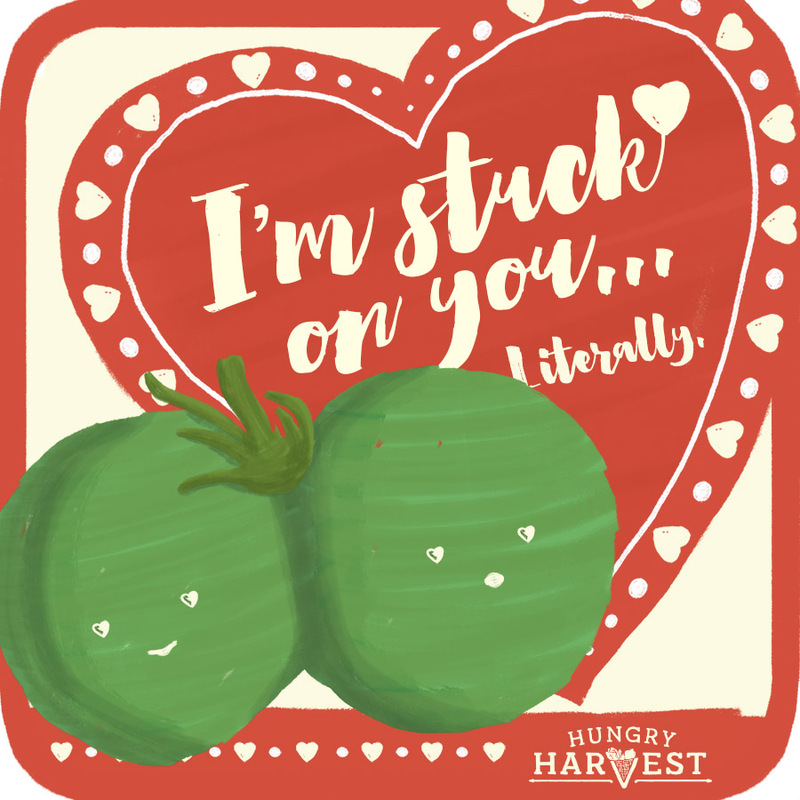 Download e-Card & shareable versions of our rescued produce-inspired cards & celebrate an all-blemishes accepted Valentine's Day! 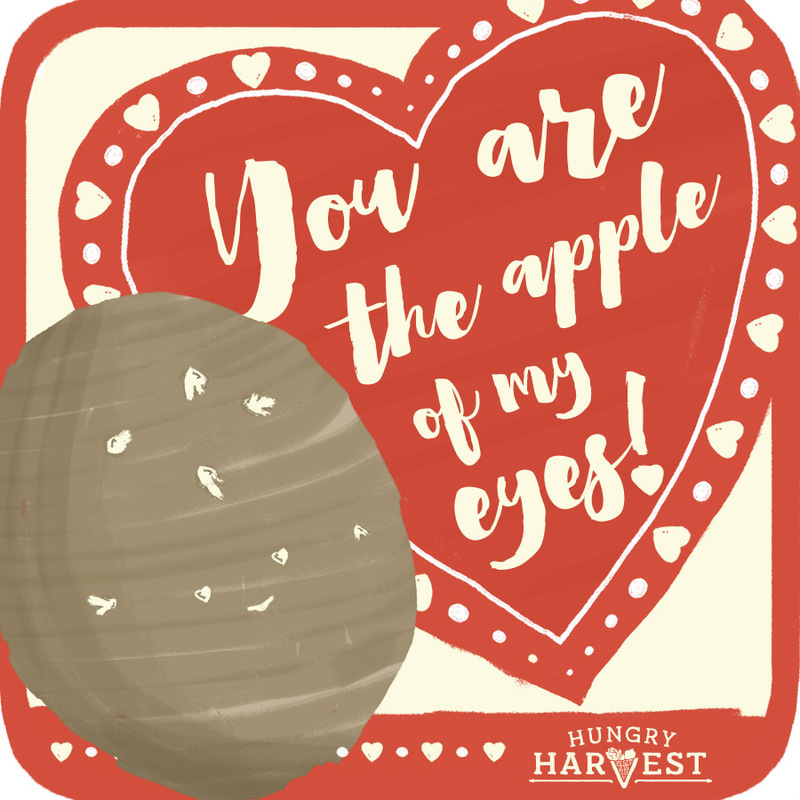 Don't forget to pass along our promo code BEMINE18 with your card to give your friends $5 off their first order with Hungry Harvest! Download 'em all below & share the love. Want to share the love? Just click the download button below to e-mail, print & share to your heart's content! 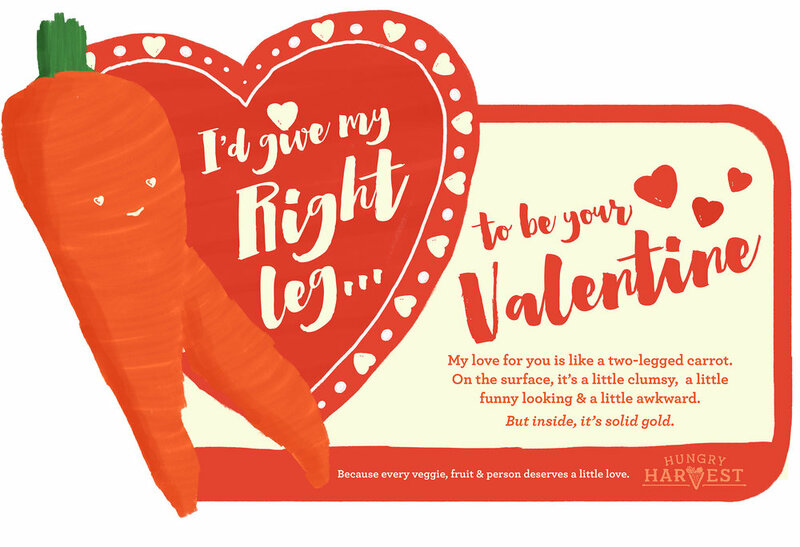 Want to send the carrot love to all your pals on social? Just click the download button below & share away! 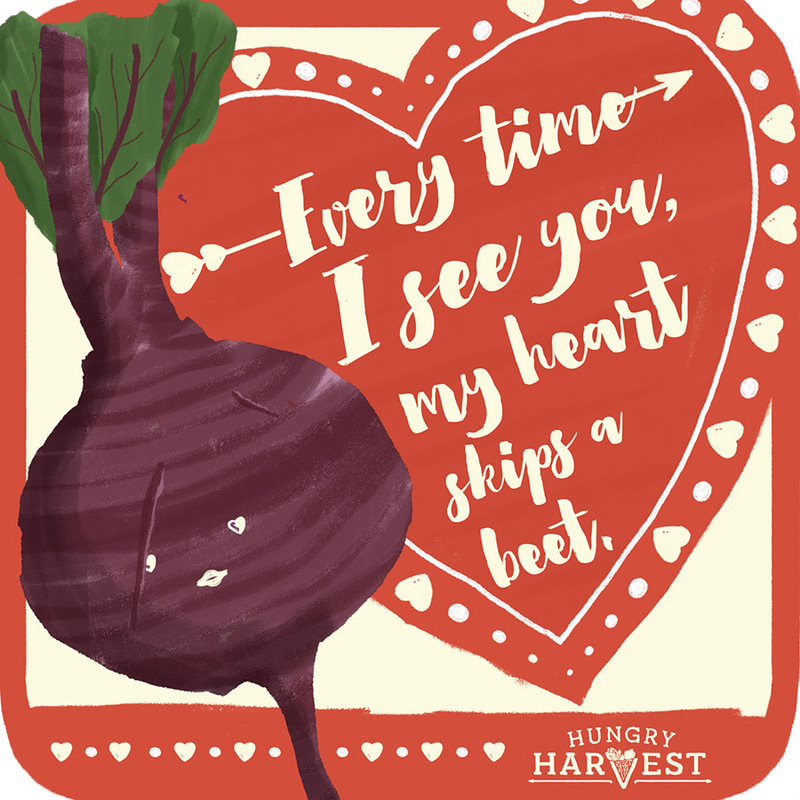 Want to send the beet to all your pals on social? Just click the download button below & share away! Want to send the twin tomato love to all your pals on social? Just click the download button below & share away! 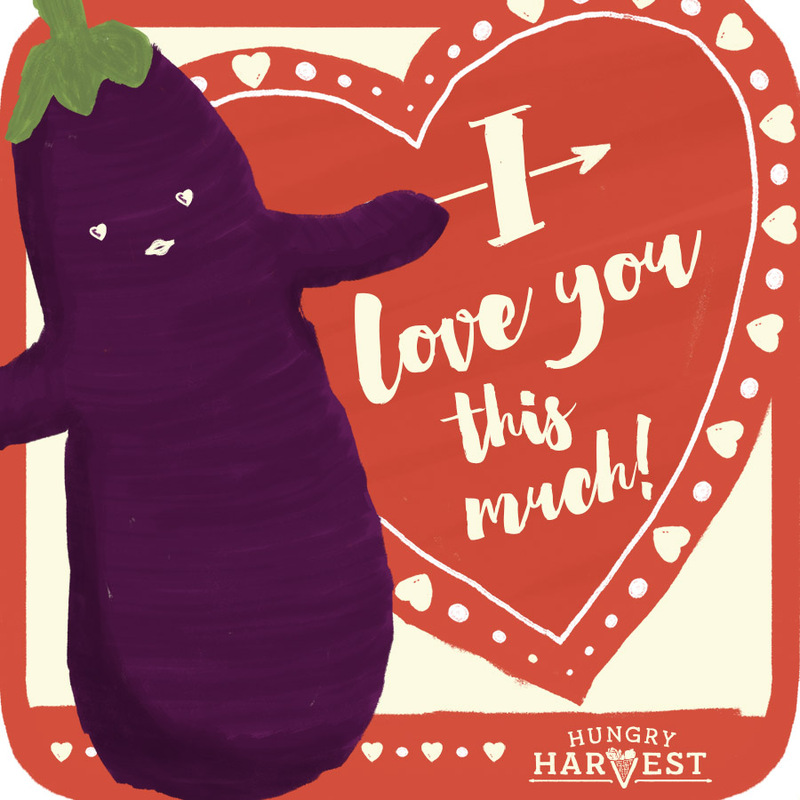 Want to send the eggplant to all your pals on social? Just click the download button below & share away! 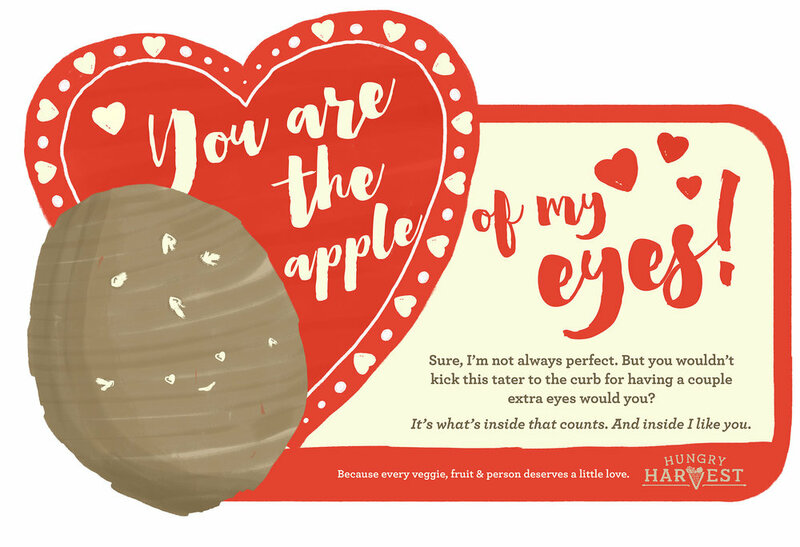 Want to send the potato love to all your pals on social? Just click the download button below & share away!